We are a leading supplier of rebuilt/reconditioned landfill compactors and other earthmoving equipment. If you are looking to purchase a quality work ready landfill compactor, please contact us. Have a look at our current inventory at: www.marcelequipment.com We are always looking for compactors and waste handling equipment - If you’re buying a new machine, please give us the opportunity to purchase your trade-in. We usually pay more than your dealership can offer as a trade-in/lease return. 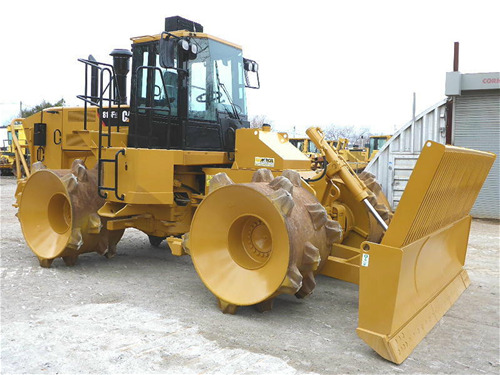 We carry various sizes and models of landfill compactors ranging from CAT 836H, CAT 836G, CAT 826H, CAT 826G Series II, CAT 826G, CAT 826C, CAT 816F, CAT 816F Series II, CAT 816B, CAT 518 Series II, CAT 518, BOMAG BC1172RB-2 and BOMAG BC772RB-2 Landfill Compactors. 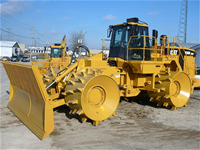 No one has more experience in reconditioning landfill compactors than Marcel Equipment Limited.